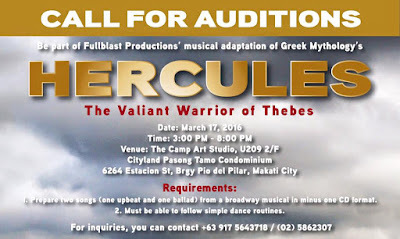 Fullblast Productions holds an open audition for a musical adaptation of Greek Mythology's HERCULES: The Valiant Warrior of Thebes. 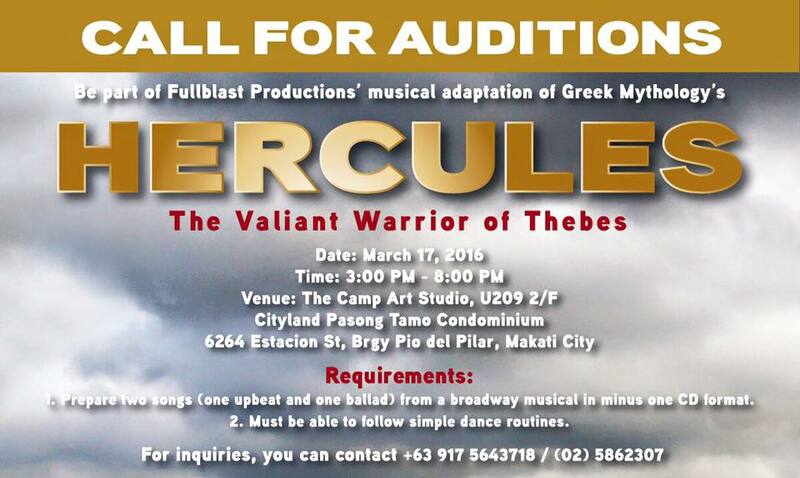 This will be on March 17 (Thursday) at 3:00pm to 8:00pm at The Camp Art Studio in Makati City. Please see the full details on the poster above.